Noon of November 25, Thursday, marks the official product launch of Vantage Razors Ace 2 and Fierce Blogs was there to witness the special event as it unfold. Its celebrity endorser is none other than Genesis Talent and Mr. Pogi (street slang for handsome) himself, Jericho Rosales. Who also by the way was named by YES! 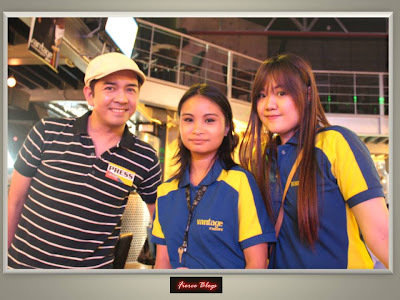 Magazine as one of the Most Beautiful Celebrities and Top Endorser of 2011. 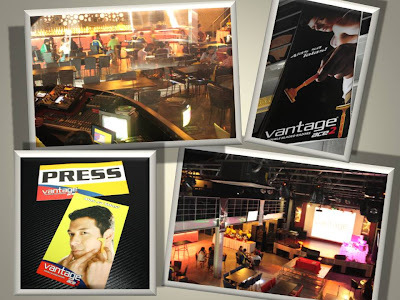 ﻿The product launch of Vantage Razors Ace 2 that took place at Area05 in Tomas Morato was well attended by friends in the media and in blogosphere. And as usual, Fierce Blogs was there to grace the product launch with much gusto as to what the new product of Bloomworks Inc. has to offer to us. Bloomworks, Inc by the way is a fast-growing company back up with 12 years of solid experience in Health and Beauty, Food and Fashion Industries in the Philippines. Among their roster of their products are: Fab Factory, Vantage, Glamlab, Glam Works, Quick Touch and Hex Styling Lab. ﻿Before the event even started, the first thing I asked myself and my photographer that day (Charley Maglunsod) was; "What could possibly make this disposable razor different from the ones we have in the market?" Well, I got my answers when they played the VTR. What I find of interest to the product is its lubricating strip. Sure, most if not all, disposable shavers have this feature but to contain Aloe Vera and Vitamin E is indeed fresh to me! I guess there's only one way to prove this promise and that is to try the shaver on me. The experience was new to me since I am using a different razor. But overall, I was satisfied on how it closely shaved by beard and mustache. Handling the razor was also easy and light with no complain what so ever. The finish is smooth and does not feel that your skin dried and was abused. The same day, I used the razor again. Have I told you that the suggested retail price of Vantage Razor is only Php14.00? How does that sound to you? 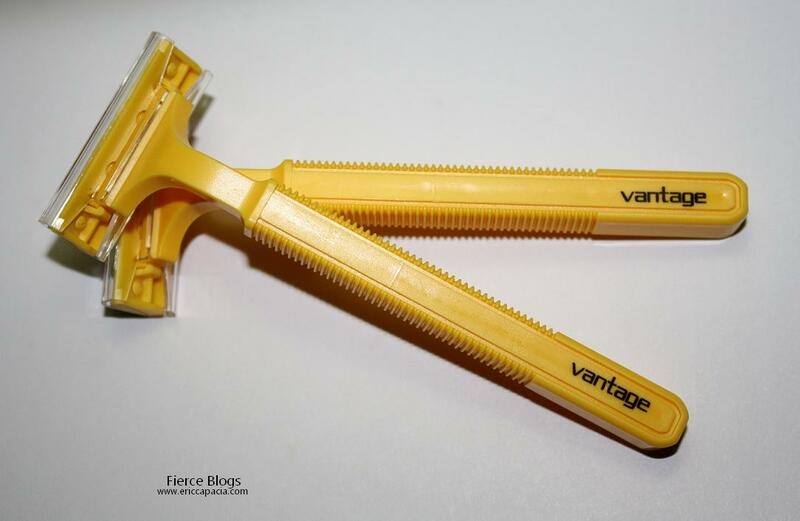 Vantage Razors Ace 2 is all about money's worth and practicality. The product is straightforward and has no pretense. The yellow razor also speaks about confidence amidst it competitors. 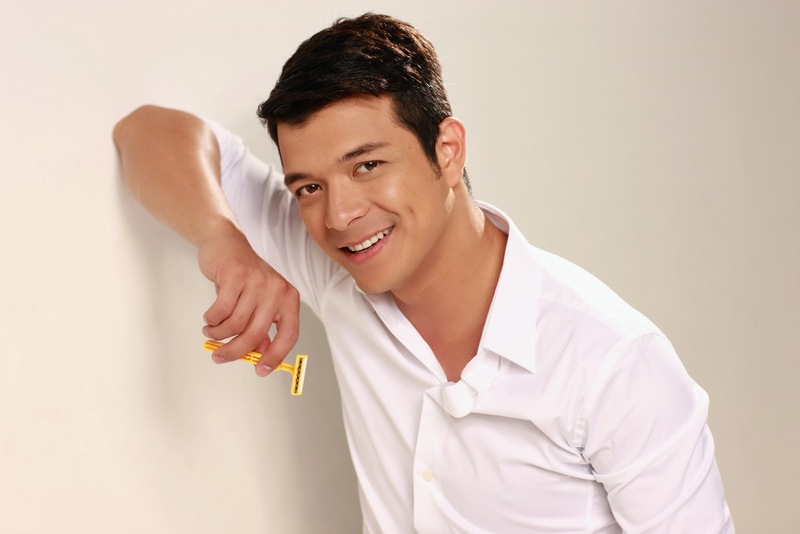 Just like its product endorser, Jericho Rosales exuberates an artistry that has experienced challenges and set backs but has remained immovable with much pride and confidence. "I'm so motivated every time I go to work with a clean shave! I feel extra confident knowing that I'm well groomed and Vantage really helps in giving me that added excitement knowing that I can do my work confidently and with ease each day," exclaimed the 32-year old who recently renewed his contract with ABS-CBN. It also seems that Jericho is seriously pursuing the other side of his talent which is singing. 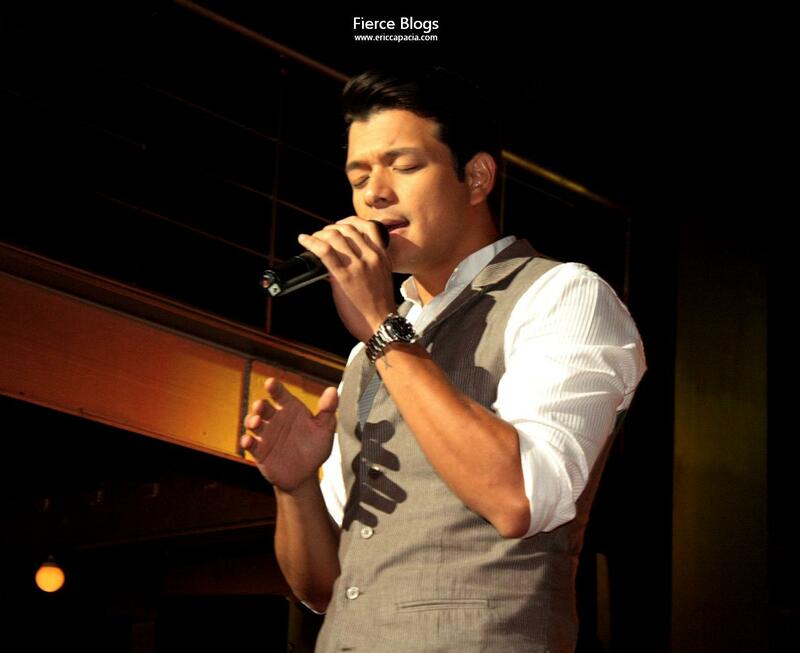 During the product launch, he serenaded everyone with his original songs such as "Pusong Ligaw" and "Bumuhos Man Ang Ulan" (The official theme song of Green Rose). It was the first time I actually heard him sing live and was amazed on how well he could croon with conviction. He should really come up with a full-studio recording carrying songs of similar genre to showcase his singing talent. On top of that, Jericho is also passionate to pursue his dream in becoming a movie director someday. He recently visited New York to explore the possibility and instead studied acting for 2 months. 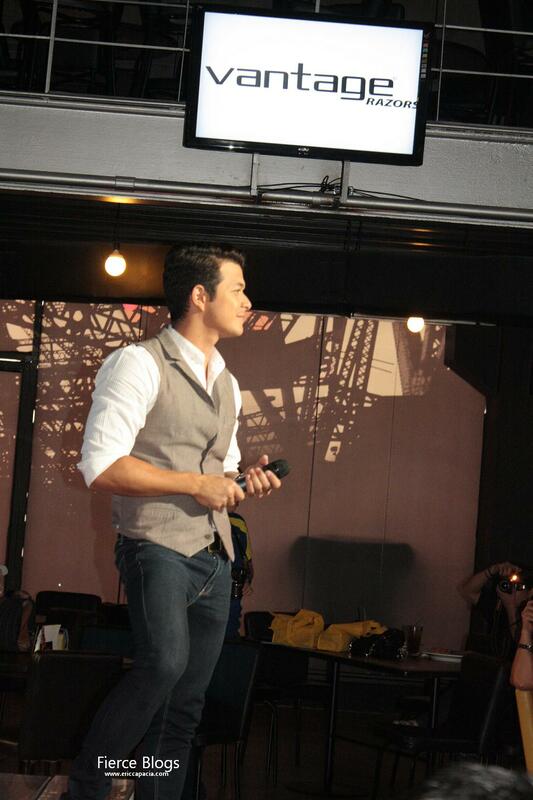 But he is not turning his back in being called Director Jericho Rosales one day. 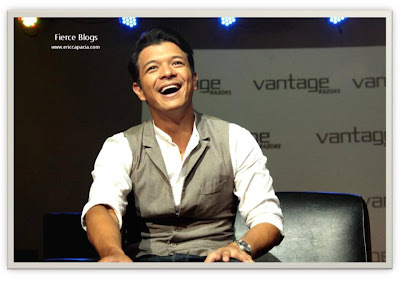 My Thursday afternoon was indeed about talent and confidence with Jericho Rosales and Vantage Razors around! 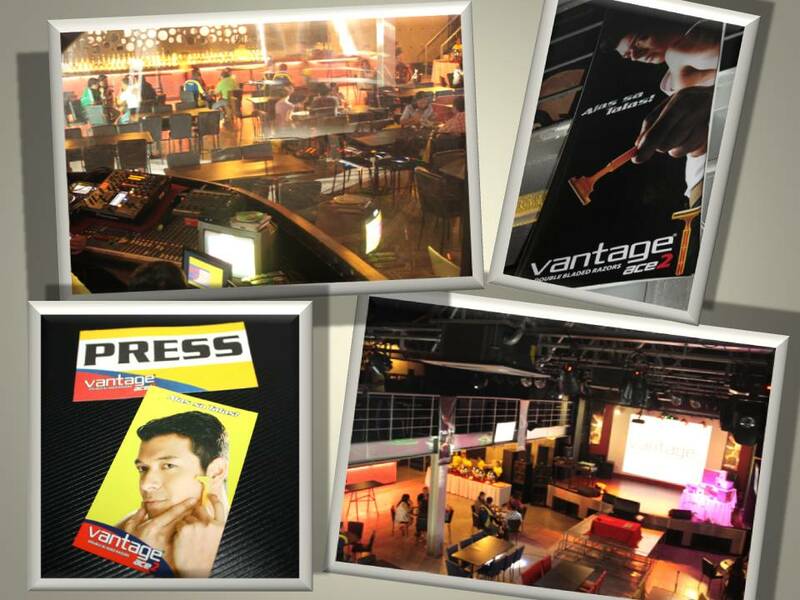 To know more about Vantage Razors, visit their Facebook Like Page here. And for more pictures of the product launch, visit Fierce Blogs Facebook page here. Have a fierce weekend to all Fierce Blogs readers out there! You're blog site is a treasure to read and view. You also have interesting blog entries that are full of life and reality! If you use this everyday, how long do you think it will last? Jericho has really matured and he's a more intelligent artist now. Thanks for featuring him on your site. Ang sosyal naman ng blog mo! APIR! I love your hat! Where di buy it? What's the brand? Congratulations to Vantage and Echo! Wow 14.00 pesos lang? Okay 'to to ah! Kahit san ba meron nito?